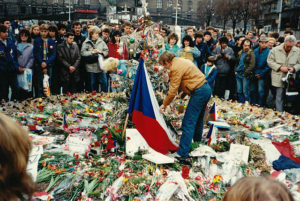 Czechoslovakia’s Velvet Revolution in 1989 — Campaigners sought to end the Soviet occupation of the country, as well as shifting from communist rule. They wanted to remove the laws of state-mandated censorship and demanded free elections. Just eighteen months before the November nonviolent revolution, Czechoslovakians organized their first public mass demonstration since 1969. Roman Catholic groups seeking religious freedom organized a Candle Demonstration, and the event on March 25th, 1988, was attended by more than 5,000 Slovaks. Police forces responded by shooting protesters with water cannons and beating them with sticks and batons. The fall of the Berlin Wall on November 6th, 1989, became a galvanizing event as Czechs and Slovaks watched Soviet control of Eastern Europe begin to crumble. Ten days later, on November 16th, peaceful student demonstrators marched from the universities to the Ministry of Education to present demands for educational reform. The next day, November 17th, 50,000 people came out to protest in Prague. Riot police came to break up the crowds, blocking escape routes and beating up the demonstrators. A rumor, which later proved false, claimed that one student had been killed. That evening, students and theater actors decided to go on strike. On the eighteenth, all shows and rehearsals stopped in the theater district. The stages opened their doors for community discussions and the Civic Forum was established by dissident playwright, and future president, Vaclav Havel. By November 20th, students and actors agreed to go on permanent strike until Communist officials stepped down. Numerous mass demonstrations broke out in Prague and other parts of the country, sometimes exceeding 200,000 people. Over the next week, nonviolent actions intensified throughout many sectors of society. Television staff threatened to strike over government censorship of their coverage of the demonstrations. The Minister of Defense declared that the military would not break up the protests. Czechoslovakia TV and Radio joined the general strike. The editorial staff of the major Communist newspaper joined the movement. Two members of the riot police apologized for their November 17th actions to a crowd of hundreds of thousands. Learn more about the Velvet Revolution here. 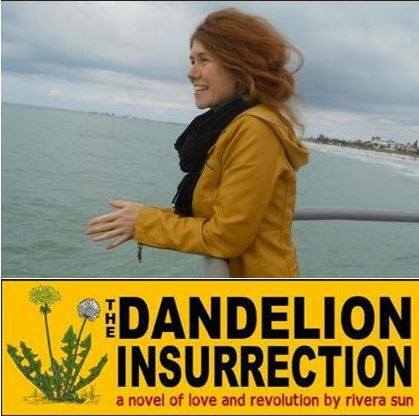 This article is from Rivera Sun’s book of nonviolent histories that have made our world. Click here for more information.